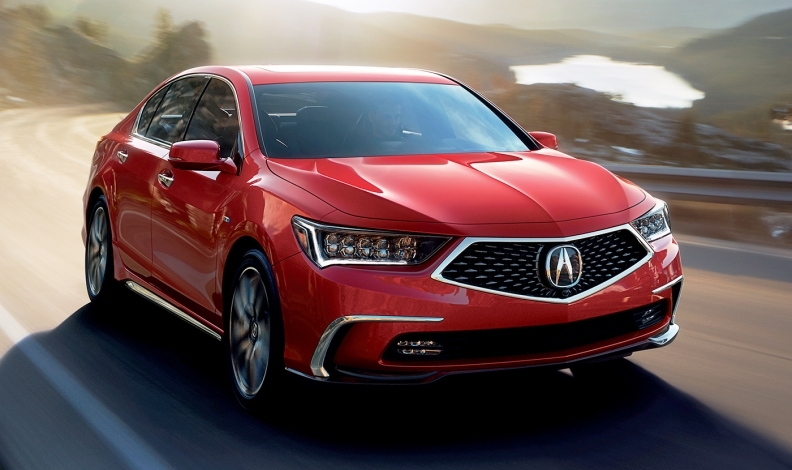 The made over 2018 Acura RLX, tweaked in an effort revive interest in the oft-forgotten larger sedan, began arriving at Canadian showrooms today and is priced at $65,490, including destination fee. The 2018 model has the same starting price as the outgoing 2017 model. Honda's near-luxury arm unveiled the 2018 RLX back in August. The updated RLX features revised exterior styling, a simplified trim lineup and a new 10-speed automatic transmission in the base model. The luxury sedan is one of the least popular Acura models in Canada. Introduced for the 2014 model year, the RLX, has sold fewer than 800 units total. This year has been particularly brutal: 48 sales through October, down 46.6 per cent from a year earlier. U.S. sales of the RLX aren't much better. They totalled just 922 through October this year, a 19.5 per cent drop from last year, in an overall weak car market that is expected to fall for the fourth straight year. Hoping to reverse lagging sales, the 2018 iteration of the RLX updates the exterior design, replacing the metal beak grille with the "diamond pentagon" grille shared with the recently updated MDX and TLX. Acura is offering only two models of the RLX in Canada, both with Acura’s Sport Hybrid Super Handling All Wheel Drive. The 2018 Acura RLX Sport Hybrid SH-AWD Tech starts with a manufacturer’s suggested retail price of $65,490. The 2018 Acura RLX Sport Hybrid SH-AWD Elite starts at $69,990. The 2018 Acura RLX has fuel economy ratings of 8.4 litres per 100 km in the city; 8.2 L/100 km on the highway; and 8.4 L/100 km combined.